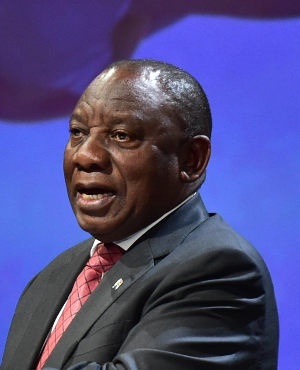 President Cyril Ramaphosa says there are no plans to interfere with the independence of the SA Reserve Bank, in an apparent climb down from what is contained in the ANC's election manifesto. The ANC last week included a review of the Reserve Bank's mandate in its manifesto, but did not call for outright nationalisation. Addressing business leaders on Wednesday morning ahead of the World Economic Forum in Davos, Ramaphosa said what came out of the ANC meeting was a line that only expressed wishes and aspirations, not a change in policy. "There is no intention whatsoever to tinker with the independence of the Reserve Bank," he said. "The independence of the Reserve Bank is sacrosanct, there should be no debate about that. We should not be alarmed," he said adding that similar debates about the role of central banks are common globally. Ramaphosa said the Eskom task team he appointed in mid-December had been "working feverishly to come up with solutions to see how best to stabilise Eskom and determine a better path for the company". "There is a glimmer of light at the end of the tunnel," he said, confirming that he met with the task team on Tuesday. The national power utility is about R420bn in debt. "Eskom is being handled , we don't need to be carrying that burden with us to Davos," he added. The country's meager economic growth has been worsened by poorly performing state-owned entities, which have been bleeding cash amid allegations of corruption and mismanagement. Ramaphosa has placed the revival of the economy at the forefront of his priorities since his appointment in February, following the resignation of his predecessor Jacob Zuma. He has since appointed special investment envoys tasked with selling the country abroad, and in April announced a plan to raise more than R1trn in new investments over five years to kick-start the economy. Ramaphosa will lead a delegation of SA ministers to the World Economic Forum which takes place in Davos, Switzerland, between January 22 to 26.